What do you picture when you envision your beach vacation? Bright, white sandy beaches? Water so clear and blue you can see several feet under the water as you wade in? You're picturing Aruba. A 70 square mile Caribbean island just off the coast of Venezuela, Aruba is the perfect location for anyone looking for a beach vacation that's exotic, but not too exotic. As a an autonomous dependency of The Netherlands, Dutch is the official language of Aruba, however, all Aruban schools require children to learn English making it easy for English-speaking travelers. You may also hear the local language, Papiamento, on your trip. 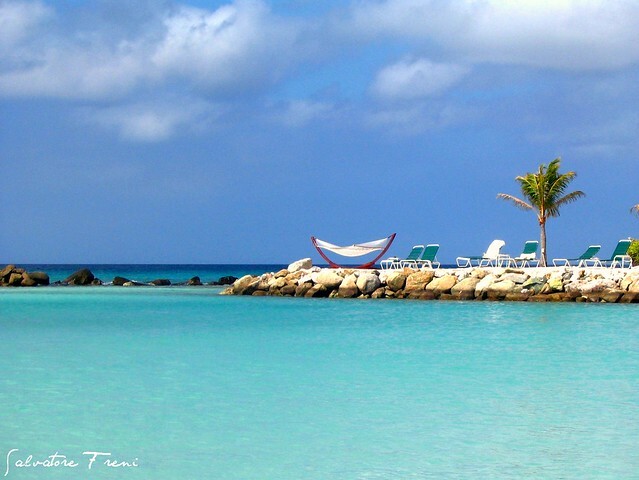 Aruba is easily accessible from the United States by air so get ready for an escape to a tropical paradise. The temperature averages 81 degrees Fahrenheit (27 degrees Celsius) year-round. With an average rainfall of only 16 inches per year, (the average rainfall in Pennsylvania is 40 inches, Florida receives 50 inches per year) you are practically guaranteed sunny weather for relaxing on the beach with your favorite beverage. Stretch out on the warm white sand enjoying the heat of the sun and the cool trade winds blowing across your body is it turns a deeper shade of tan. Wade into the crystal blue water and swim slow lengths in a sleepy harbor. Or go for an adventure. Beyond its famed beaches, Aruba offers a variety of natural attractions. Hike in Arikok National Park, an ecological preserve that covers over 20 percent of the island of Aruba. Go early in the morning for glimpses of Aruban wildlife at its most active. The park is home to Iguanas, Aruban whiptail lizard, burrowing owls, and a variety of migratory birds. Vast rock formations rise up along the northwest coast, ready for exploration. The Ayo Rock Formations and Casibari Rock Formations reach skyward from the hills covered in lush green vegetation. Look out for lizards and cacti as you study the petroglyphs at Ayo and wander through the tunnels among the scattered stones of Casibari. 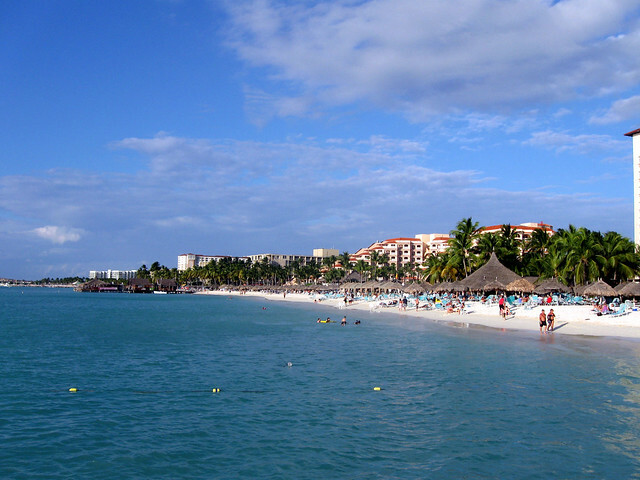 To further ease your mind during your relaxing beach vacation, know that the crime rate in Aruba is quite low. If you take the same precautions you would at home, such as keeping valuables with you at all times, always locking your doors, and walking in pairs or groups at night, you should be able to enjoy a safe, idyllic vacation. Precautions, however, should be taken when renting vehicles in Aruba. One of the most common (and still rare) crimes targeted at travelers is the theft of rental cars for stripping. When you rent your car, it is advisable to double-check your insurance so that you are covered in the event of car theft as many insurance policies do not fully cover theft.